An extremely sunny day in July. 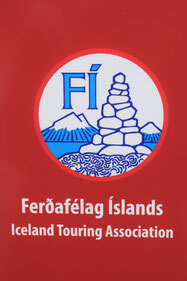 Ferðafélags Íslands (FÍ) run the huts & camping. 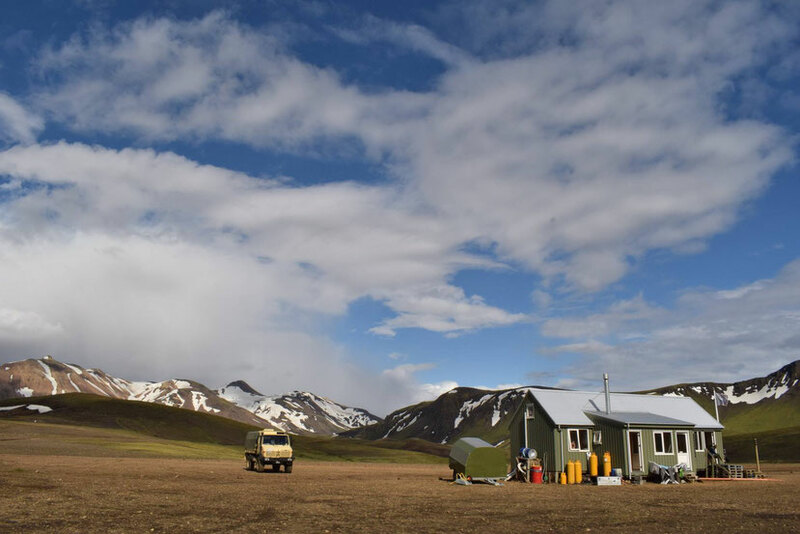 If you are an unseasoned camper, slightly nervous multi-day hiker or just don't want to carry the weight, staying in the accommodation huts is the most sensible option [other than a guided tour]. You will have to book well in advance (in 2018, it was around 8000kr or 9000kr per person, per night, but check prices through the previous link). The communal sleeping arrangements are basic, but safe, warm and dry (which is all you need at the end of a long hike). There is no privacy, you must go to a different building to use the toilets and you will need your own sleeping bag. Each hut has a fully equipped kitchen, but be aware that it is only available to those who are staying in the hut. You will need to bring your own food to cook. Always find a warden to check you in before you go inside. If you decide to stay in a tent, you must camp in the official campsites. 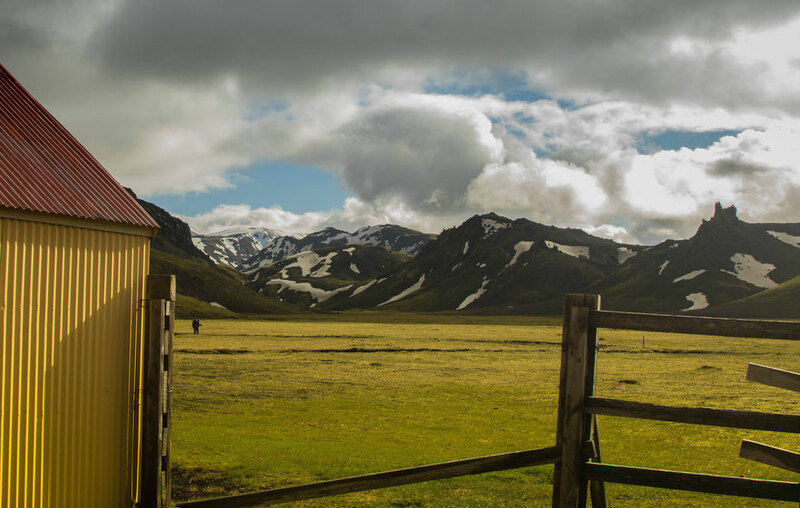 The Icelandic highland environment is very fragile and foot traffic is destroying it elsewhere. This costs 2000kr per person, per night (2018) and should be paid in cash or with card upon arrival (bring both options as solar electricity used to run the card machines can be a little unreliable in some campsites). If you arrive after 10pm (or the office is closed), set up your tent and pay in the morning. 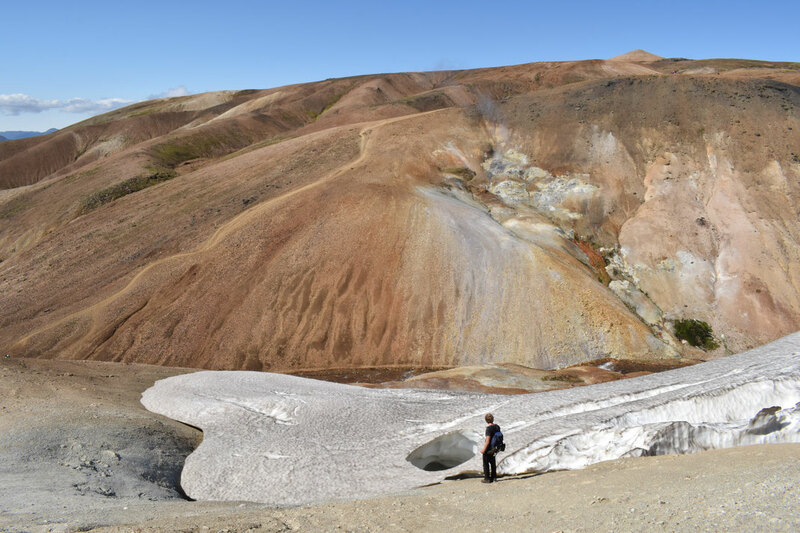 A ridiculously sunny day in Landmannalaugar in June. From the FÍ sign in Landmannalaugar. If you are not an experienced or fit hiker, do some day hikes with a backpack as training in advance. The season opens in mid to late June and ends around the middle of September. 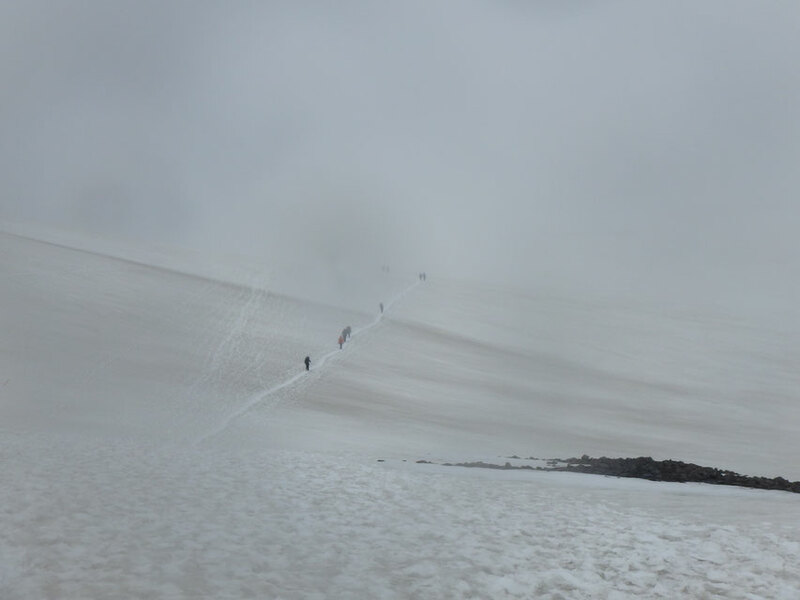 For the best conditions, hike in July, August and very early September. Remember that Iceland begins to loose light in August and by September, the hours of darkness increase dramatically each night. You can check a rough estimate here, but always plan to be safe at a campsite an hour before sunset. Check my suggested packing list here before you leave home and do not carry extra luggage. Check bus routes and times before you arrive; this is particularly important at the beginning and end of the season (June and September) when services are reduced and finally finish altogether. Sterna, Thule Travel, Reykjavik Excursions and Trex all come to Landmannalaugar; Thule Travel, Reykjavik Excursions and Trex go to Langidalur in Þórsmörk; Sterna goes to Básar (just across the river from Langidalur). Be flexible in your plans. 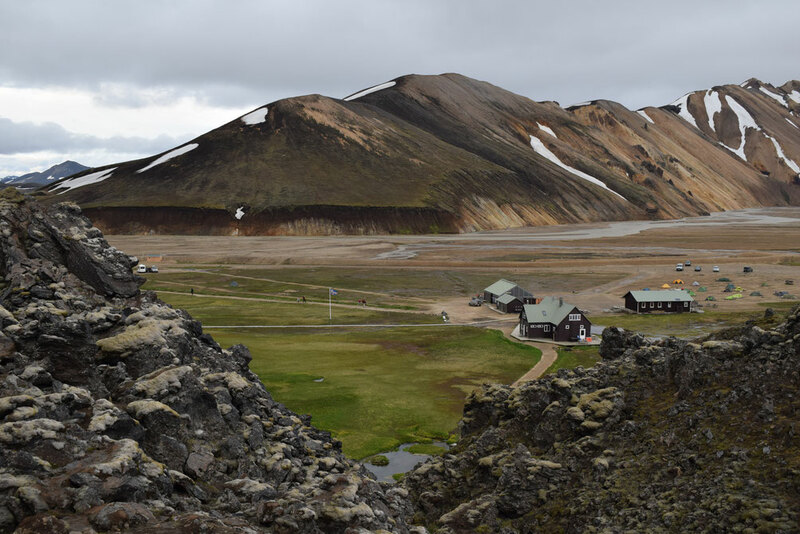 If you are driving and leaving your car at Landmannalaugar, check that the F208 from the north is open first to avoid river crossings. The route is still only possible in a 4x4. Walking the trail usually takes between two and four days depending on your fitness, enthusiasm and most importantly, the weather. Remember that the dates you arrive and leave on a bus cannot be full hiking days. Plan to allow yourself at least one extra day on top of your estimated completion time to allow for unexpected storms. This will let you delay your departure or spend a day stuck somewhere in the middle without extra stress. 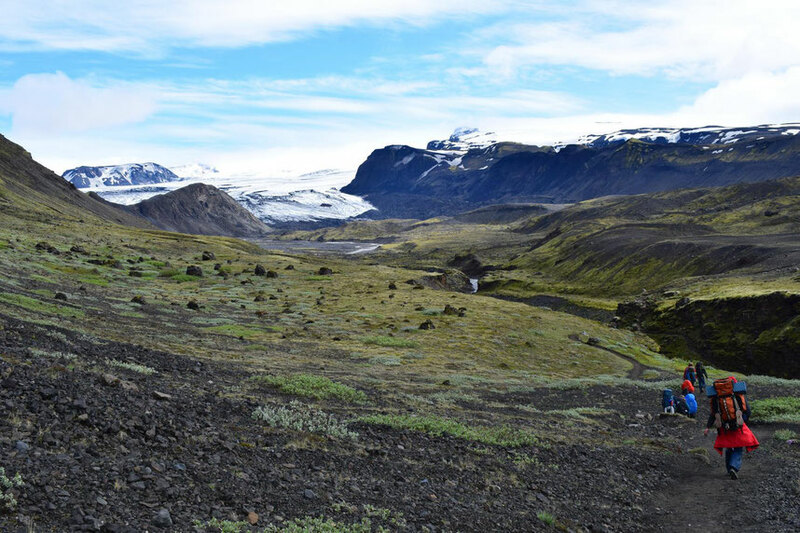 There is plenty of beautiful hiking in Þórsmörk (pronounced "Thorsmork") or Landmannalaugar if you find you have spare time. Check the weather forecast before you leave civilisation! 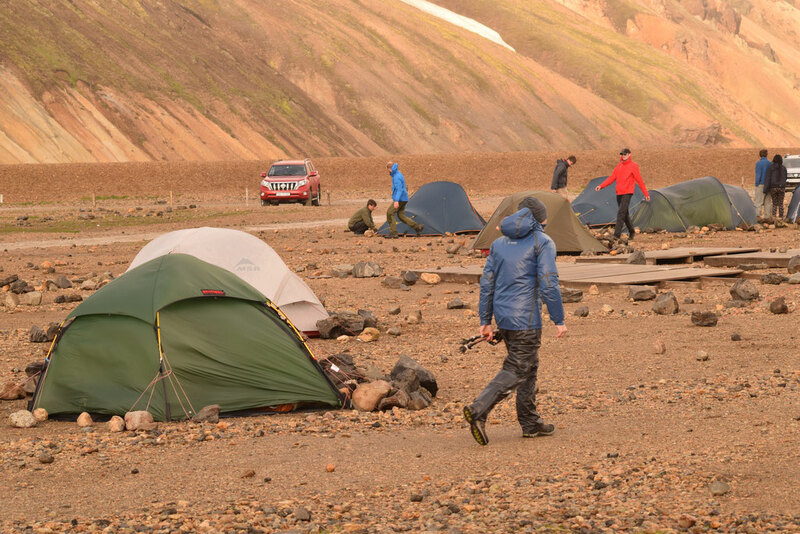 Landmannalaugar campsite is grim in a storm and the route up to Hrafntinnusker is potentially treacherous in bad visibility. Most campsites do not have a covered place for you to sit. Register your travel plans with Safe Travel and follow them on facebook or twitter for up to date advice before you arrive. Please provide as much information as possible when you fill out the forms and only choose to have trip monitoring if you will be sure to remember to check out (otherwise you will accidentally call out a Search and Rescue team). Be aware that there is probably no electricity en route (bring a fully charged power-bank and/or spare batteries for anything you need). 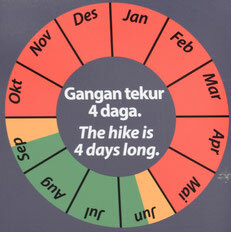 Be aware that there is always a chance that you may not be able to do the hike because of bad weather. If you are told not to hike by Safe Travel, a ranger from Umhverfisstofnun (The Environment Agency), anyone working for Slysavarnafélagið Landsbjörg (Search and Rescue) or a warden at a one of the campsites, it's imperative that you listen to their advice. 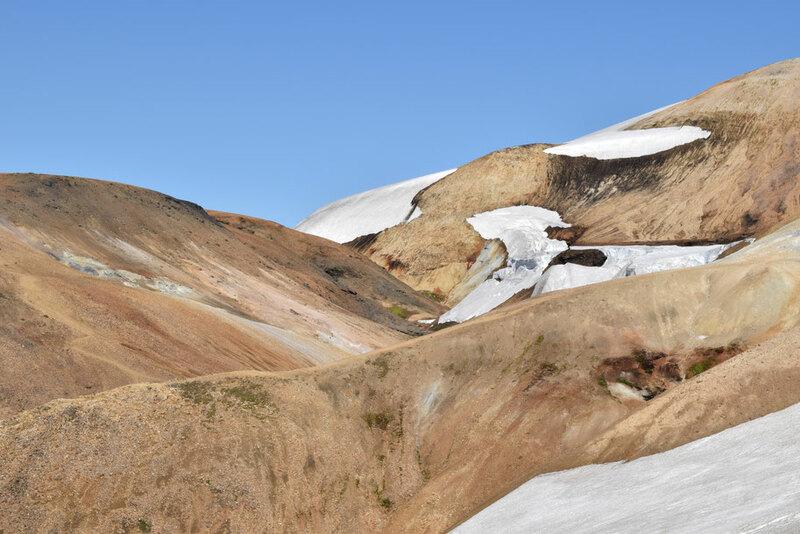 All within 24 hours at Landmannalaugar in late June. For the preservation of moss and other plants, please only walk on the trails and do not wild camp. Prepare to take your rubbish home with you. Bring a small trash bag or ask the wardens if you forget. If you see something left on the trail, it would be nice to pick that up too. It really should not need saying, but please do not poo(p!) in the wild and take any toilet paper with you. Always talk to the wardens before you start the hike and when you reach a new campsite (regardless of if you stay at that one or not). They might have vital information regarding river conditions, incoming storms or even [hopefully not] an impending volcano eruption! Be aware that Icelandic people are not prone to over-exaggeration - if they advise you against something, it is almost certainly for a good reason! Although there are 24 hours of light around Midsummer, you should not attempt to hike through the night [without serious training and experience]. 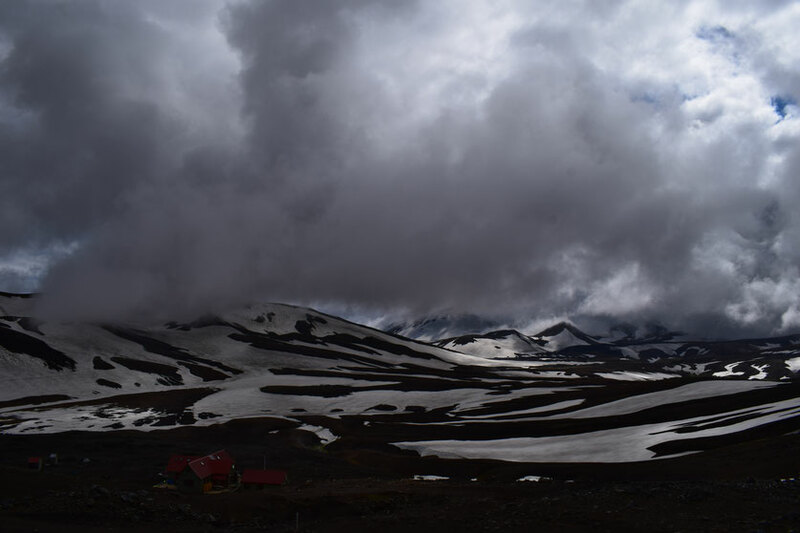 The temperature drops dramatically in the evening, there is nobody to help you on the trail if you need it and your body will get tired even if you feel awake mentally. From personal experience, I know this will catch up with you even if you are physically fit. Make sure everything in your bag is protected from water (just in case). Choose the widest [and therefore most shallow] part of the river. Change into your river crossing shoes. Tie the laces of your boots together and hang them from the back of your neck/bag (keep your hands free for balance). Unbuckle the waist belt of your bag. For deep rivers, link elbows with your companions and wade across sideways. Put the strongest or biggest member of your group first to help lead the way. When crossing snow bridges use caution and common sense; if you must cross one, step carefully to test them a little before putting your whole weight down. Look for cracks and holes before you step. Do not follow the foot-prints if they are leading over something that does not look safe (more snow melts every day). If you are cold and wet, it is important not to panic, but just keep moving. 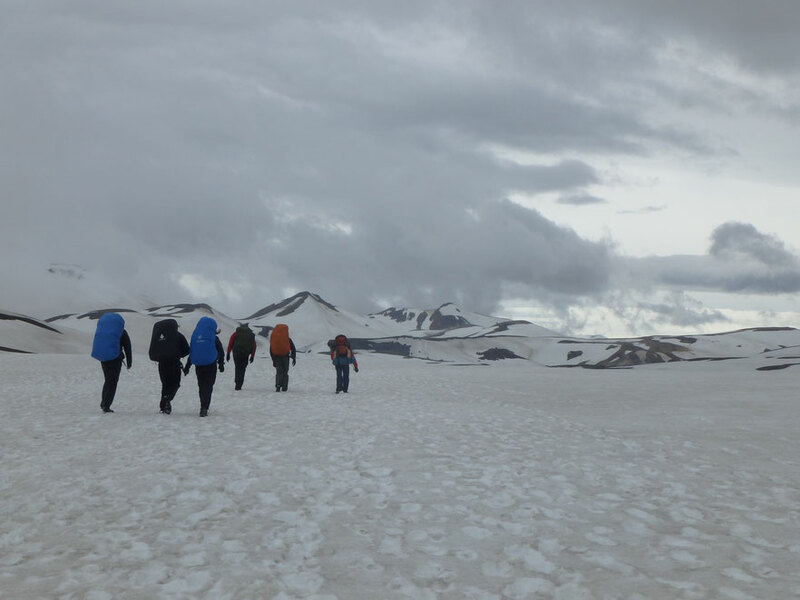 Consider your position on the trail; if you are hiking south and are already cold, wet and miserable before you reach Hrafntinnusker (particularly if you are camping), it is probably worth coming back the way you came. There is no bus service from the middle of the trail. Eat plenty of food and drink loads of water; you will use more calories than you expect. Keep easily accessible snacks in your pockets so you don't always have to sit down and stop in bad weather. All tap water is drinkable in the campsites and you can also drink anything from small mountain streams that don't smell of egg (take from upstream of the trail). I would usually say you should take 1.5 liters for the first section to Hrafntinnusker, but you probably don't need to carry more than a liter after that. Pretty serious conditions approaching Hrafntinnusker in June 2017. 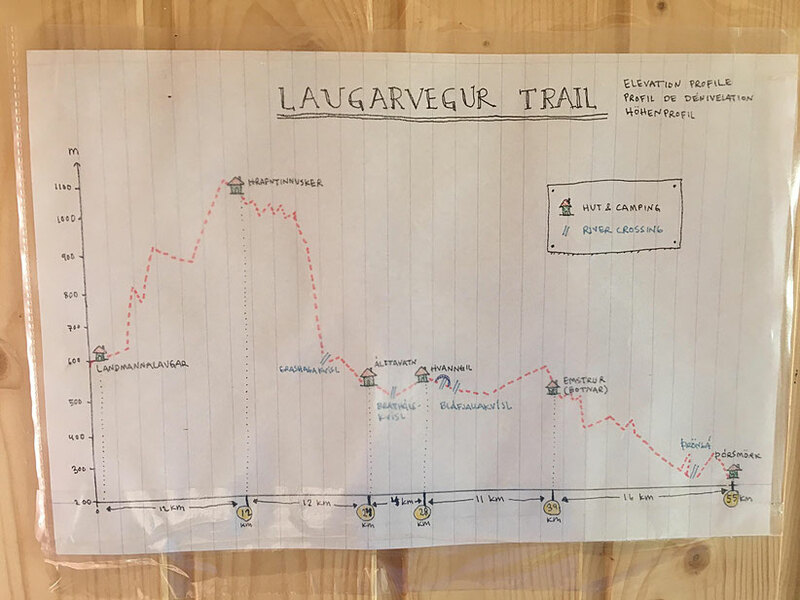 Altitude and distances between huts on the trail - wonderful graphic borrowed from Hrafntinnusker hut. 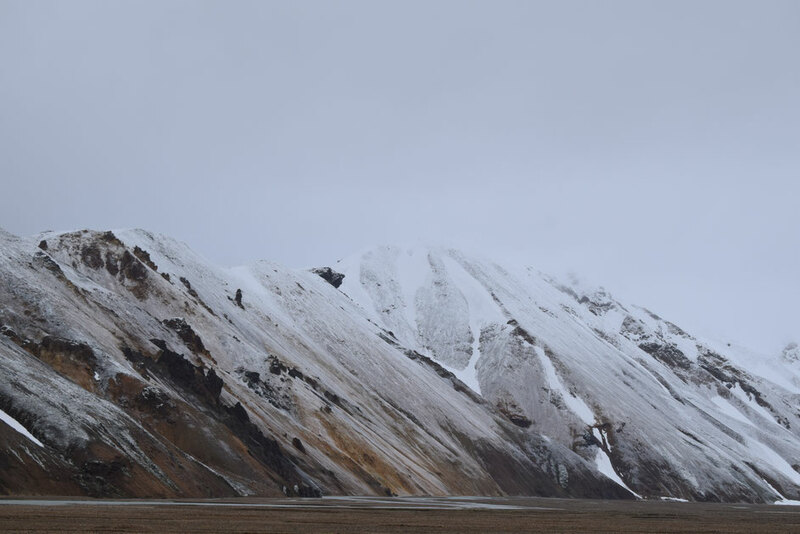 Barmur, near Landmannalaugar after a small snow storm in late June. Though it has slightly better facilities than most stops on the trail, the camping area has a base of rocks and — in keeping with the general highland ethos — things are pretty basic. 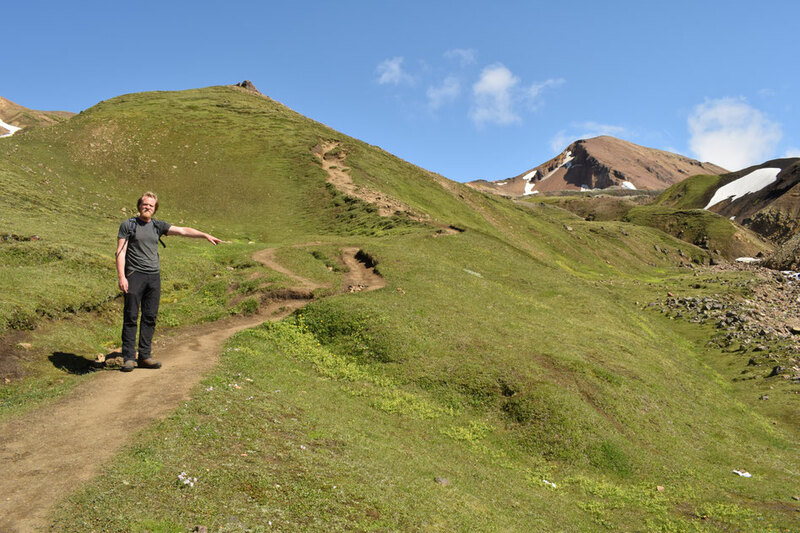 I've also written about day hikes from Landmannalaugar. Parking - accessible without any river crossings with 4x4 vehicle when F208 road is open. 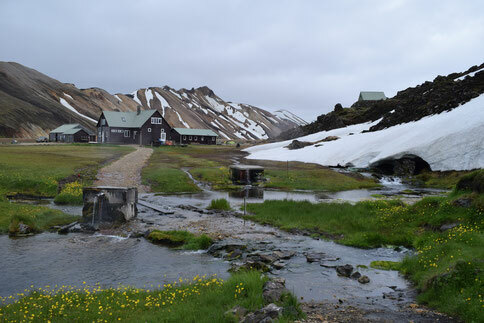 A beautiful natural hot spring (getting warmer throughout the season). Toilets, a sheltered area for eating and rubbish disposal (recycling for plastic bottles and drink cans) - all included in camping (2000kr) or the day fee (500kr). Warm showers - 500kr for 5 minutes hot water. Information Office also selling maps, certain types of gas, power banks, snacks and various other things. Call ahead to check stock/prices. Telephone number (not for bookings) - 00354 860 3335. The Mountain Mall are also open from late June until early September. They sell coffee and many other things from their shop. This first section of the hike is usually the most challenging. Time your departure around having decent weather on this day as it can be dangerous in poor conditions. 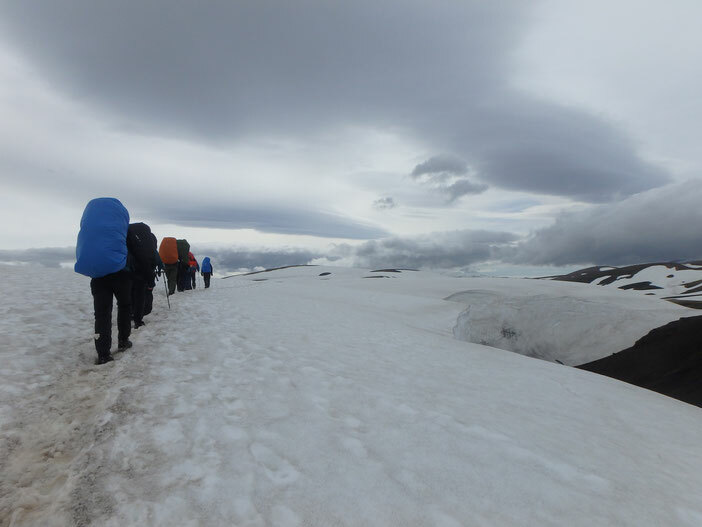 The majority of the stretch is up-hill, the weather can be at its most serious at the higher altitude and (in the first half of the season) there is a lot of tiring, wet snow to walk across. 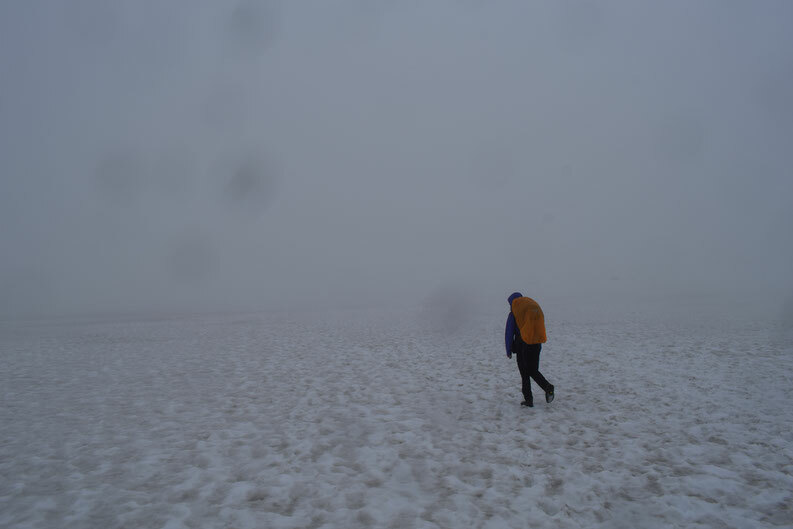 Be especially careful in low visibility and when walking over snow bridges. A bad day at the beginning of July. Hrafntinnusker in August when the snow has mostly melted. 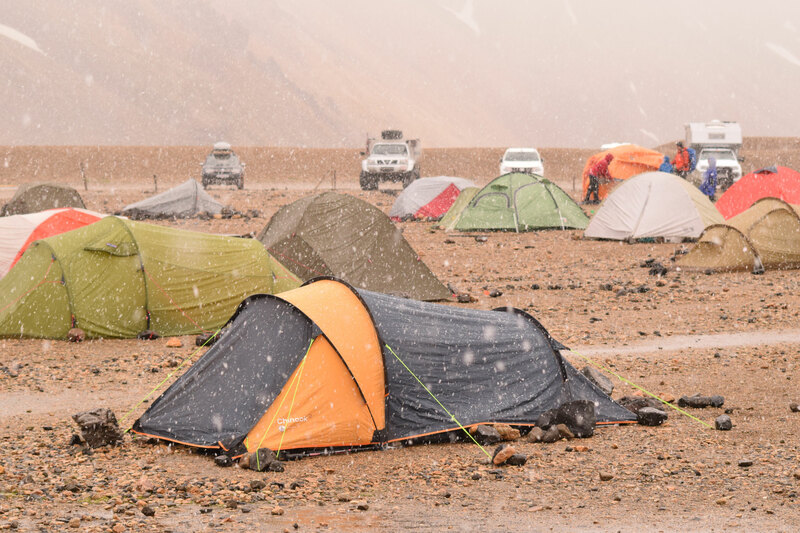 At the highest altitude on the trail and covered in snow for much of the season, this is unlikely to be somewhere you want to camp unless you have real experience and specialised equipment. There is no sheltered area for campers, no showers and only "long drop" type toilets. On the plus side, it is all down hill from here in both directions! 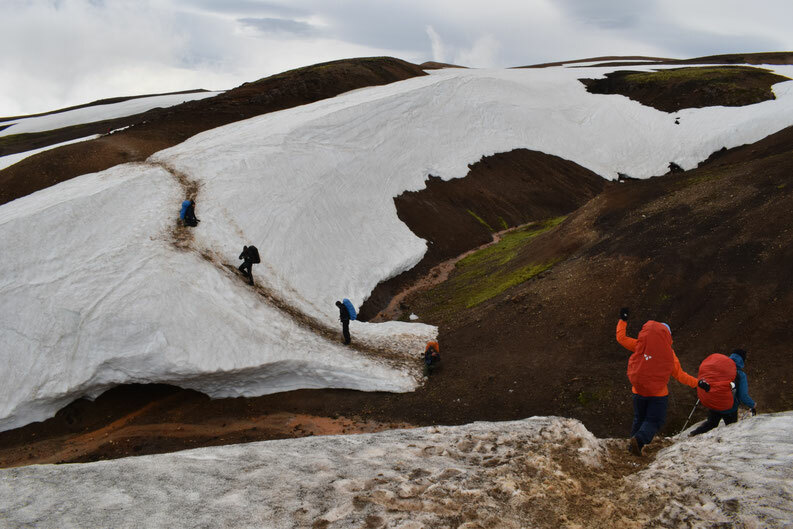 There is still a lot of snow on this section early in the season, but it should not be so exhausting as it is mostly down-hill. Take your time on the steeper sections as (when you are tired) this is the most likely place to twist your ankle or hurt your knees. There is a river-crossing closer to Álftavatn, but it is rarely more than calf-deep. Under a snow bridge - note the light shining through! I did not go inside to take this photo. 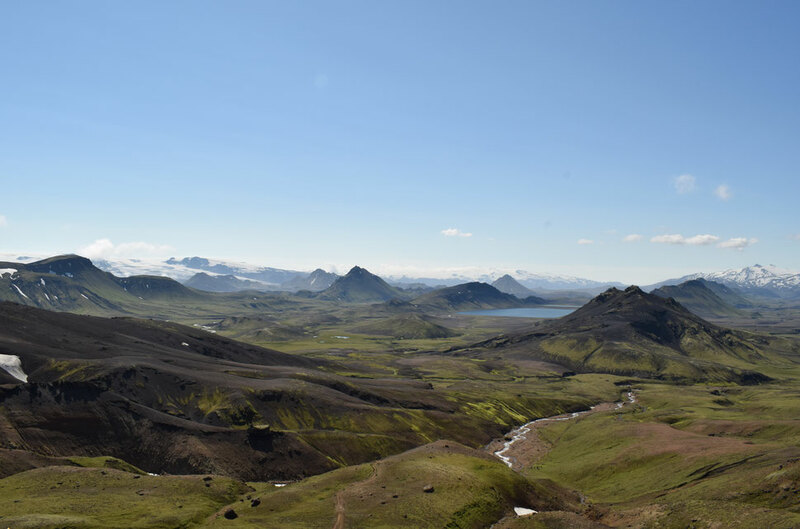 Looking south towards Álftavatn in July. Sometimes known as the windy city, this campsite has a beautiful lake-side location and is idyllic in good weather. 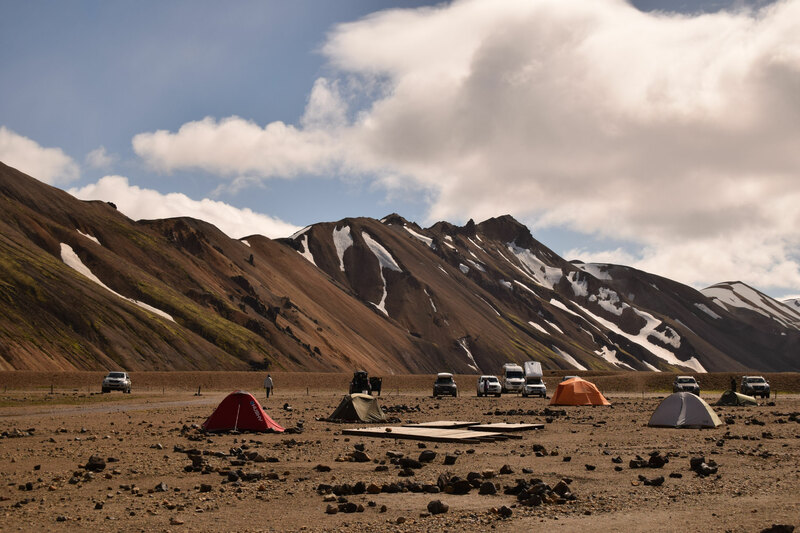 There is very little shelter; if the wind is getting strong (check with the wardens), then be prepared to continue the 3.8km to Hvanngil as tents are often destroyed at Álftavatn. 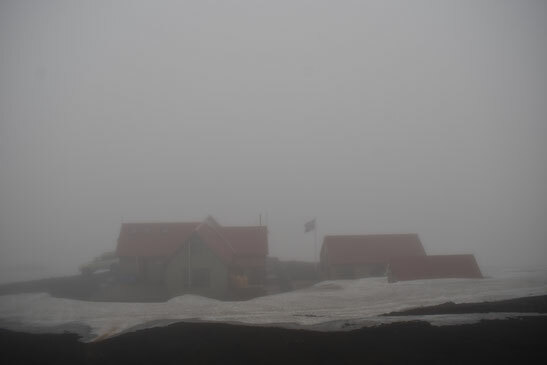 There is also now a (very small) restaurant run by the Volcano Huts company. 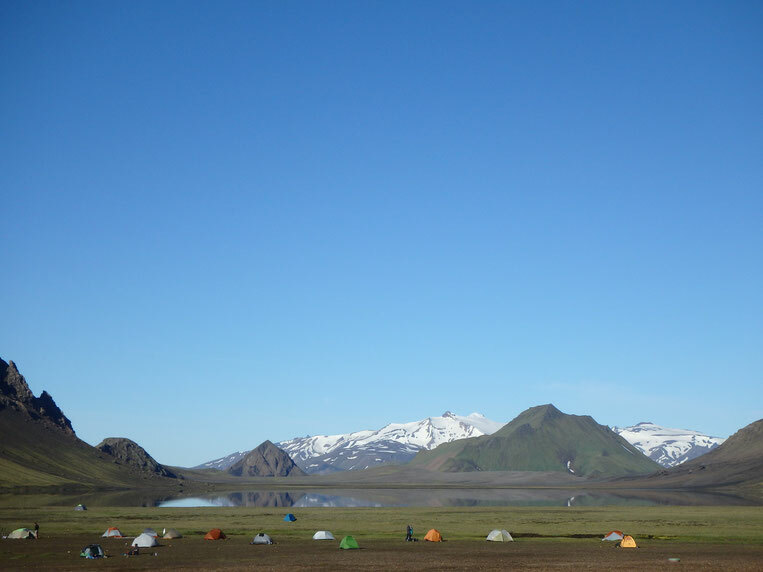 A perfect day at Álftavatn. Álftavatn wardens' house (information and payment office on the right of this photo). 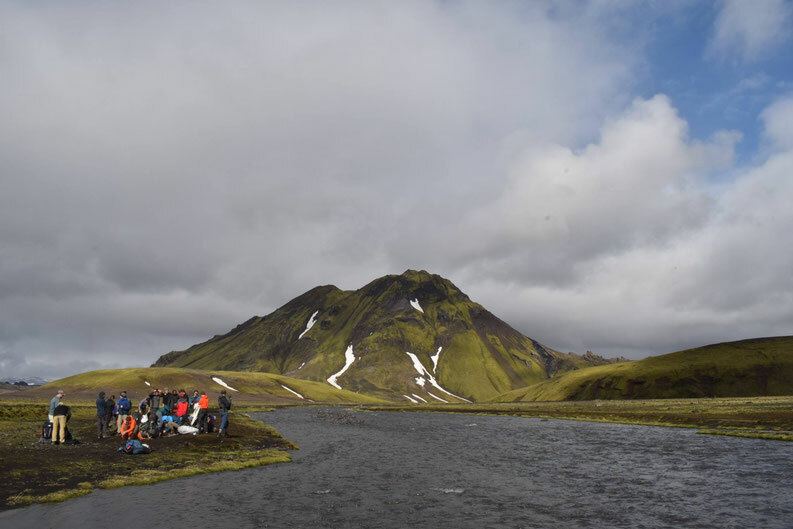 It is only 3.8km between Álftavatn and Hvanngil, but be sure to check conditions of the river crossing with the wardens before you start. Usually it is not more than knee deep, but can be fast or flooded at times. Hvanngil in June. 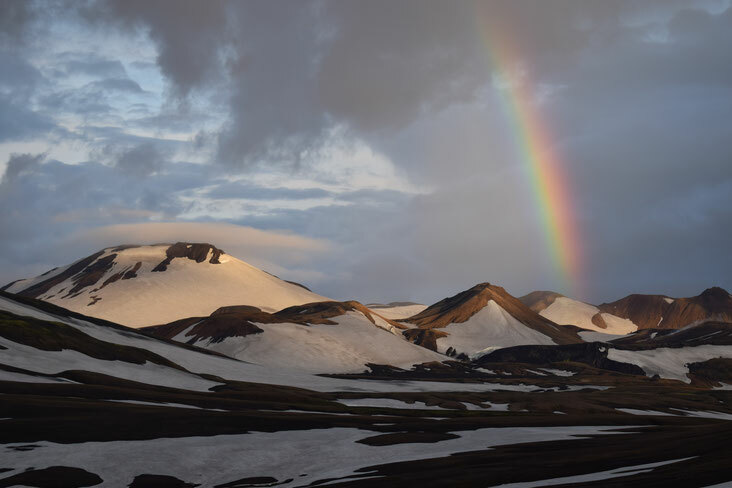 Photo from Johnny Rolt - he made a beautiful video of our time volunteering in Þórsmörk (click on the photo for a link). The least busy and most sheltered campsite; Hvanngil is a hidden gem. Most people walk right through, but it is an excellent place to camp. Even if you can't stay, please be sure to talk to the wardens and check the conditions of the next river 1km afterwards. Hvanngil has warm showers at 500kr for 5 minutes. Telephone number (to check conditions not for bookings) - 00354 860 3336. The river just past Hvanngil can be as deep as your bum, so make sure the things in the bottom of your bag are well protected. I personally like to do it without wearing my trousers.. Walking across the alien, black sands of Emstrur can actually be more challenging in dry and windy conditions as sand whips up into your face. Sunglasses, a hat and a buff will help with this problem. After the river crossing near Hvanngil. 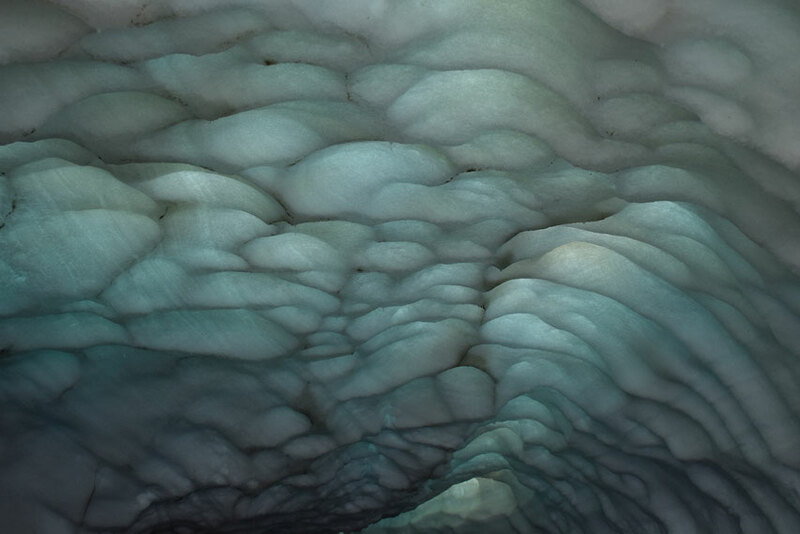 If the weather is acceptable, don't pass through here without seeing the canyon. It's an easy walk away (even for the most exhausted hiker) and one of the most impressive views in the area. Botnar campsite also has warm showers on a 500kr for 5 minute ticket system. Telephone number (for questions not bookings): 00354 490 0137. There is a final river crossing before Langidalur which is not usually much more than knee deep, but can sometimes become flooded (check with wardens). 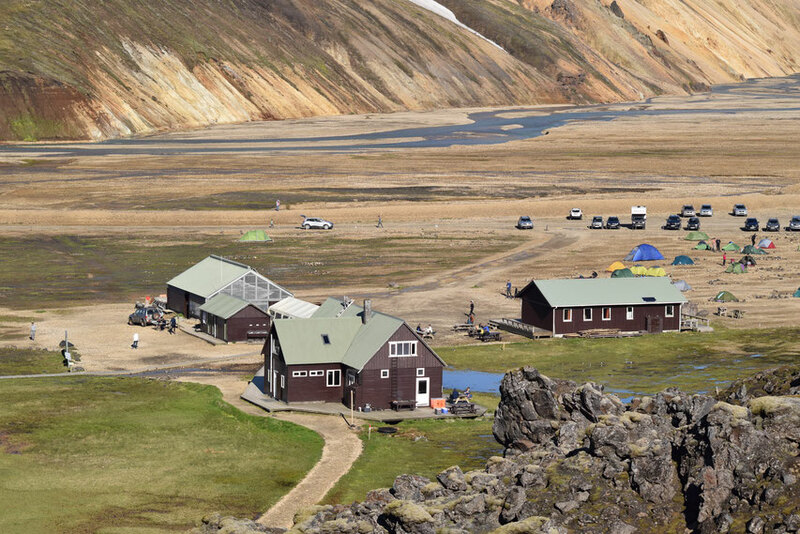 There are several huts/campsites in Þórsmörk, but Langidalur is run by FÍ. With the easiest conditions on the trail, grass to camp on and a view over two glaciers, it would really be a shame not to spend an extra night in Langidalur. They have a map of day-hikes to buy and everything is pretty well sign-posted thanks to the TrailTeam volunteer program (which was how I came to live and work Summers here in the mountains). Be sure to protect your food from mice (outside of your tent) as they are likely to nibble through expensive gear to get at it. 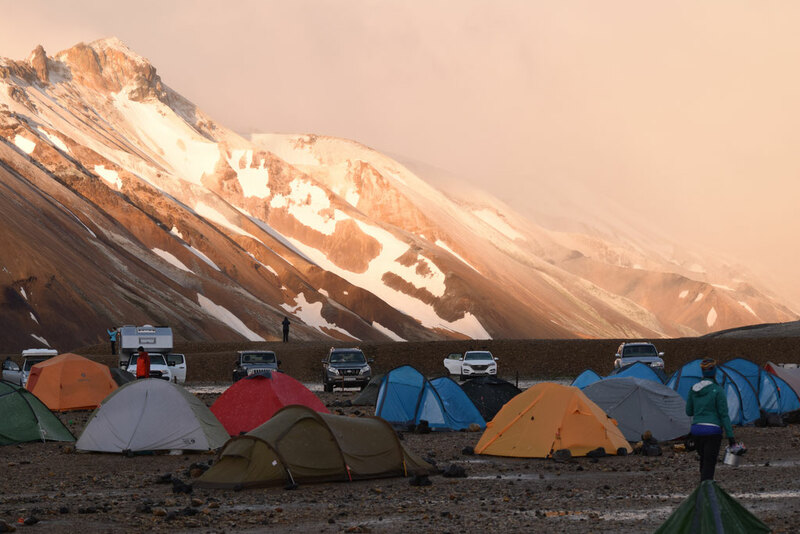 Langidalur is relatively well equipped compared to campsites in the middle of the trail. There is a small shop, shelter to sit undercover and warm showers on a 500kr for 5 minute ticket system. 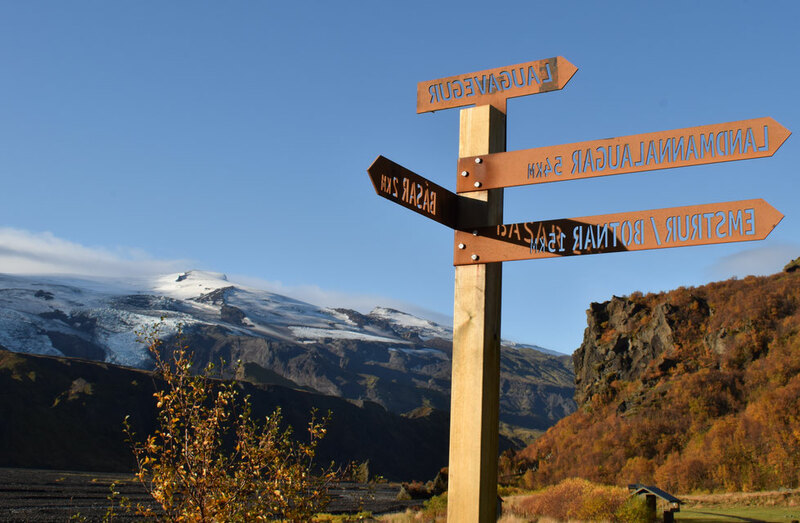 If you are starting either the Laugavegur or Fimmvorduhals (to Skogar) from here, it is vitally important you check with the wardens first. Don't ever attempt to wade or drive a hire car through Krossá river. In the high season, there is a foot bridge a little further up-stream. I hope that helps... 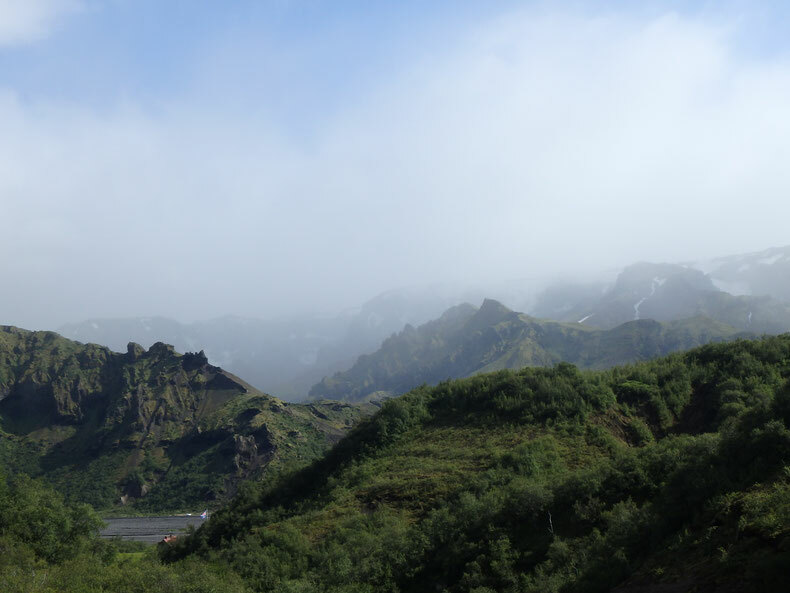 Please also check my Laugavegur packing list.